Beautifully maintained rambler with 4 bedrooms, 2 bathrooms, living room with abundant windows to take in the natural light and enjoy the view, family room, formal dining and kitchen eating space. 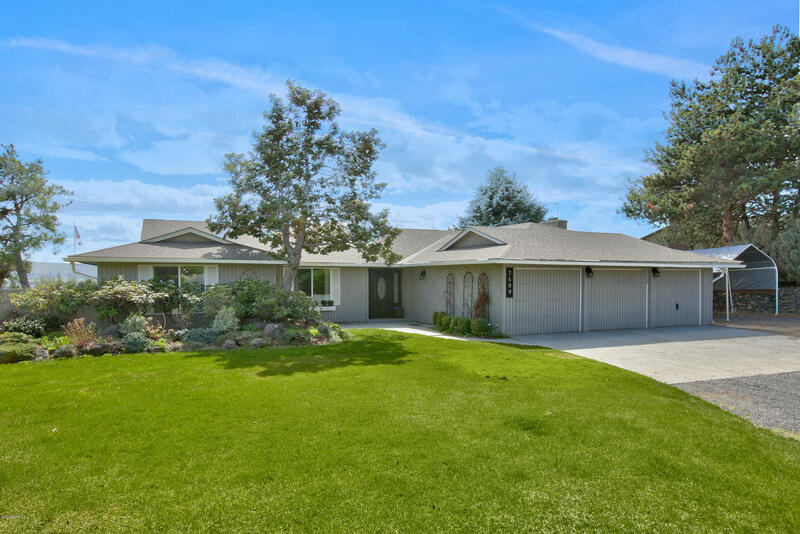 This home has been meticulously maintained and offers a casual and comfortable floor plan. Perched on the hillside with an additional lot with view protection. Lot is a separate parcel, could be sold in the future. 3 car garage, RV parking, covered patio, mature landscaping and stunning views. This is a great place to call home, make it yours today! Directions: West on Summitview, Right on 74th Ave, Left on Englewood to 1st driveway on the right.